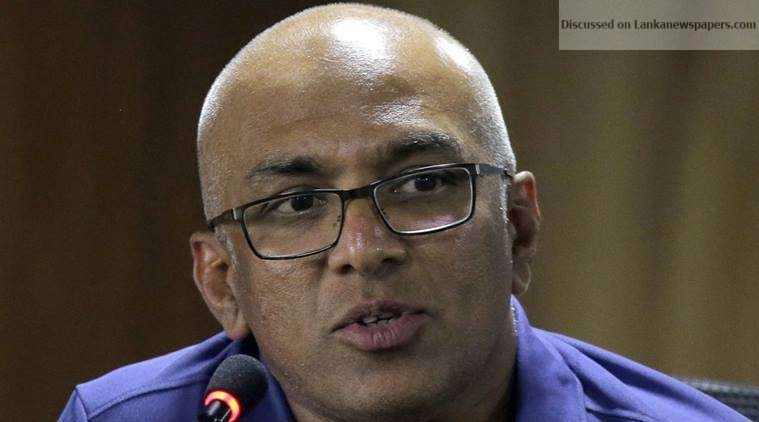 A few days after Sri Lanka returned from their first-round Asia Cup exit, Coach Chandika Hathurusingha at a packed media conference in Colombo launched a scathing attack on Angelo Mathews, who had led the players, justifying his axing from the captaincy and team. Mathews was involved in run-outs, he maintained, and had particularly run his partner out multiple times. It was a serious allegation against a man whom Hathurusingha had worked hard to convince to return as Sri Lanka’s skipper. “If you look at his record, he has been involved in about 64 run outs,” the Coach elaborated. Sri Lanka came home after losing to Bangladesh and Afghanistan, without even meeting India, the title holder. In Angelo Mathews’ own words, he was made the scapegoat for the debacle. Mathews had given up his captaincy just six months before Hathurusingha took on the high profile Coaching job. He soon wooed Mathews to return as skipper. Sri Lanka was looking to open a new chapter ahead of the World Cup. In only ten months, the relationship between the pair turned sour. Mathews paid the price. There weren’t many who batted an eyelid. This, they say, is “typical Hathurusingha”– and “extremely selfish”, “overrated” coach who is “at the wrong place at the wrong time for all the wrong reasons”. This may sound harsh. The man did, after all, have a decent stint with the Bangladesh Cricket Board (BCB), his previous employer. But his eleven months in Sri Lanka might well justify such uncharitable remarks. Despite his success, Hathurusingha was slammed by the BCB for being “too smart”. This was after he criticised team selection for the 2015 World Cup while being part of the selection process. When the squad was announced, he expressed displeasure at the absence of rookie leg-spinner Jubair Hossain. The gripe continued after the mega event in Australia where Hathurusingha had claimed the 15-man squad offered by Bangladesh was not the best. “It is immaturity,” Naimur Rahman, BCB’s Cricket Operations Chairman, was quoted as saying. More than underestimating the team, Hathurusingha was focused on personal credit–”that I am a very successful coach”, Rahman also said. “His interview sounded like Bangladesh would have played in the final and won the trophy if the team was selected by his choice,” he pointed out. Hathurusingha, cricket insiders said, has displayed similar traits during his short stint with Sri Lanka Cricket. They claim he is a law unto himself; it is his way or the highway. He has so far managed to get two managers replaced, the latest being Charith Senanayake (the other was Asanka Gurusinha). Others said that Sri Lanka could have avoided maximum punishment for the team’s mid-match protest against ball-tampering allegations in the Caribbean in June had the Coach been more cautious and not challenged the match referee’s writ. It was Hathurusingha that had insisted on calling the decision to question. What followed was a hefty punishment: a two-Test, four-ODI ban for Captain, Coach and Manager, and huge embarrassment to the country. “No doubt, he is a good coach and an aggressive one,” said another insider. (None of those interviewed wished to be quoted). Hathurusingha’s unhealthy attitude appears to be a constant. He was part of the national team structure but was suspended for “insubordination” in 2010. He was the ‘A’ team coach from 2005. He was drafted to the senior side on a request by then Captain, Kumar Sangakkara, in 2009. The following year, the Sri Lankan team was in Zimbabwe playing a tri-nation tournament when Hathurusingha returned home before the final saying he had to go to Australia to follow a Level III coaching course notwithstanding instructions from the Board to stay on if his team reached the final. He had permission from Head Coach Trevor Bayliss and Team Manager Anura Tennekoon but he didn’t inform the Board President. He was immediately suspended. A passionate appeal from Sangakkara, who held him in high esteem, fell on deaf ears. Hathurusingha’s re-entry into the Sri Lankan fold was significant. After Graham Ford left 16-months into his 45-month contract in June 2017, Sri Lanka was going through one of their most difficult periods in cricketing history. They exited the Champions Trophy prematurely, then conceded an ODI series to Zimbabwe and had India marauding over them across all formats at home and away under Nic Pothas, the Interim Coach. During the same period, Aravinda de Silva resigned as Cricket Committee Chairman, a major blow to the Thilanga Sumathipala administration who initially hired Hathurusingha for the Lankan job. This was when they decided to lure Hathurusingha, giving into all his demands including to make him a member of the Selection Committee–a privilege hitherto not granted to any other Coach. His appointment, though, was more a face saving measure for an administration whose popularity was fast fading. The 49-year-old started his Sri Lankan stint well enough. The team returned triumphantly from a tri-nation series in Bangladesh in January this year, Hathurusingha’s first assignment after taking over the high profile job. Just a few weeks earlier, the Indians had drubbed the Sri Lankans. There were also early setbacks to Zimbabwe and hosts Bangladesh. But the players rallied around, showing defiance and aggression to clinch the title which, at one stage, had looked beyond their reach. Things continued in a similar vein in the Tests despite contrasting wickets offered by the desperate Bangladeshis in the two-match series. The Lankans gave them a taste of their own medicine to win 1-0. And they also clinched the two T20 games convincingly, completing a title hat-trick. So Hathurusingha ticked his first box. And many thought the Messiah had finally come. But the tale of woe resumed as the year progressed and, with the team’s latest defeat to England in the bilateral series at home, there is now pressure on the former national cricketer to walk the talk. With three tough assignments scheduled for Sri Lanka ahead of the World Cup in May—New Zealand, Australia and South Africa–Hathurusingha is entering a crucial period in his career but whether he has the wherewithal to triumph remains to be seen. Apart from the victories in Bangladesh, Sri Lanka had a rare Test win in the Caribbean in June and also beat South Africa 2-0 at home. But the team’s ODI performance remains a big question in the run-up to World Cup. During this time, Sri Lanka have lost four T20s and nine ODIs, winning three and six respectively. “It’s going to be a long haul journey for Hathu too,” said S. Skandakumar, Sri Lanka’s High Commissioner in Australia and a former Sri Lanka Cricket (SLC) Secretary . Skandakumar’s point was that other factors also have to fall in place. “We also need to raise SLC administration to a professional level,” he said via email. “The issue is not with him but the lack of resources to work with…I mean players,” maintained K. Mathivanan, who was Vice President in the administration that hired Hathurusingha. Hathurusingha has received much praise for the transformation of Bangladesh cricket. But would it have been possible if he hadn’t had a core group of players to work with. Tamim Iqbal, Mushfiqur Rahim, Shakib-ul-Hasan, Mahmadullah and Mashrafe Mortaza are all fine players with experience and skill. Hathurusingha merely had to bring back confidence to the side. “Look, Bangladesh had only one way and that was up,” said a senior cricketing source.